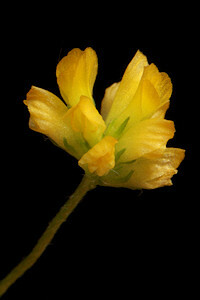 Black Medick is a fairly common plant but not often noticed because the flowers are so tiny (about 3mm). The flowers are yellow and grow in clusters. They are followed by black kidney-shaped seed pods. 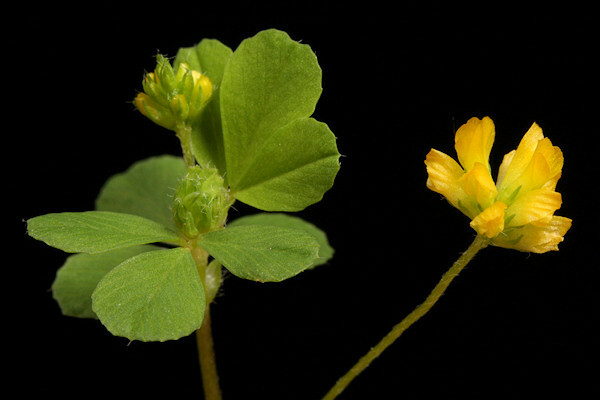 The leaves are similar to three-lobed clover leaves. Black Medick is very similar to Lesser Yellow Trefoil, but they can be distinguished by the tiny point at the end of each leaf.